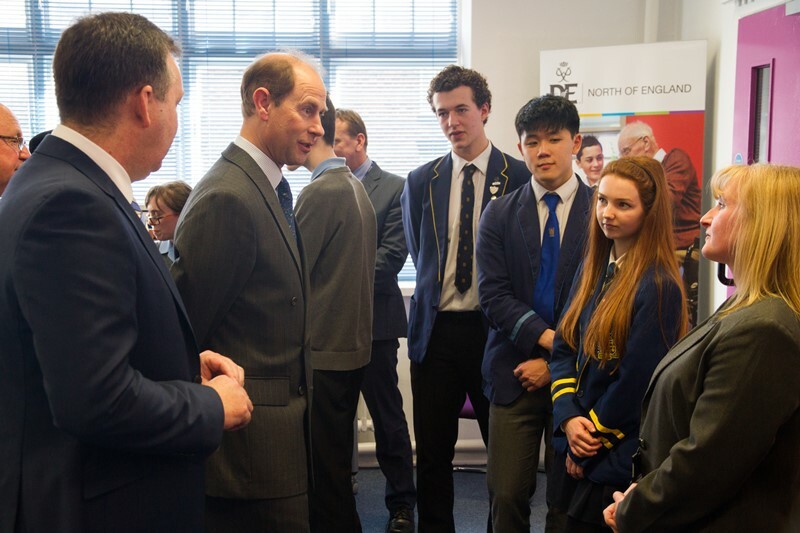 On Tuesday 24th March, Trustee of The Duke of Edinburgh’s Award (DofE), His Royal Highness, The Earl of Wessex, officially opened the Knotty Ash office in Liverpool, which is the new home for the DofE Charity’s North of England Regional Office. During the opening, His Royal Highness unveiled a commemorative plaque and met with local DofE Managers and representatives from Licensed Organisations that offer DofE programmes to young people. As demand for the DofE continues to grow, the prominent local building, which has been a community building since it opened in 1890, will become the flagship facility for the DofE in the North of England, offering superb training and conference facilities to support the network of DofE Leaders and volunteers across the region in their delivery of DofE programmes. During the visit, The Earl of Wessex met the High Sheriff, The Lord Mayor of Liverpool, The Squire of Knotty Ash, Ken Dodd OBE, as well as DofE Managers and Head Teachers from the local area. Students from three local schools – Bluecoat, St Vincent’s school for the blind and North Liverpool Academy – also attended and spoke about their DofE experiences and achievements. To find out more about the DofE in your area and how you can get involved, please visit www.DofE.org.